The Cygnus spacecraft is seen moments before its capture March 26, 2016. The Cygnus resupply ship from Orbital ATK has been packed and its hatches closed before Tuesday morning’s release. Astronauts Tim Kopra and Tim Peake will be at the controls of the Canadarm2 when it releases Cygnus at 9:30 a.m. EDT. Live television coverage on NASA TV starts at 9 a.m.
A few hours after its release a spacecraft fire experiment, Saffire-1, will take place inside Cygnus to test how different materials burn in space. Finally, on June 22 Cygnus will deorbit and during its reentry another experiment, Re-entry Breakup Recorder, will record its breakup into Earth’s atmosphere. On Saturday, another spacecraft will leave the space station and return home three Expedition 47 crew members. Cosmonaut Yuri Malenchenko will command the Soyuz TMA-19M spacecraft that will land him and NASA astronaut Tim Kopra and British astronaut Tim Peake in Kazakhstan after 186 days in space. NASA TV coverage begins Friday at 10:15 p.m. The crew will undock Saturday at 1:52 a.m. and land at 5:15 a.m. While the two spaceships are being prepared for departure, science and maintenance inside the orbital laboratory was ongoing. The crew set up the Cell Biology Experiment Facility in Japan’s Kibo lab module and documented the living conditions on the space station. 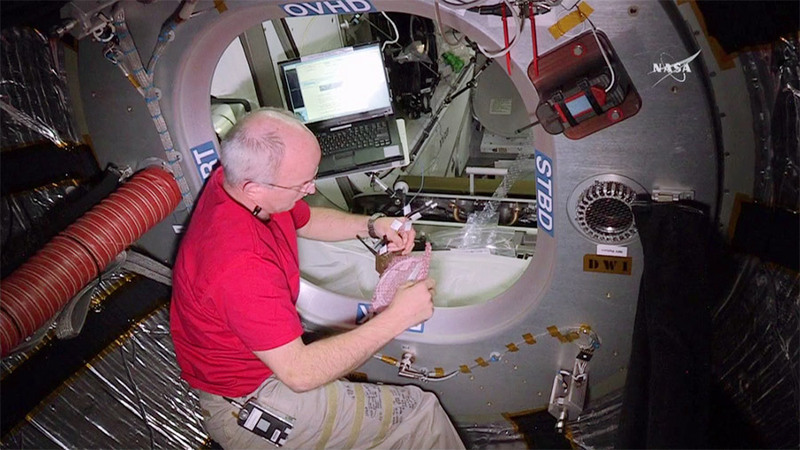 The station residents also sampled for air and surface microbes and cleaned crew quarters. A pair of spaceships is getting ready to depart the International Space Station next week. 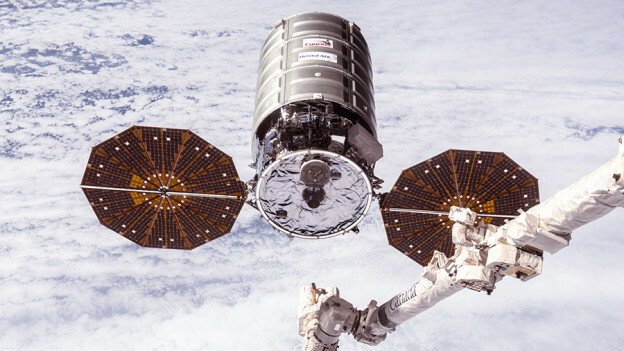 The Orbital ATK Cygnus cargo craft will be released from the Unity module June 14. Three Expedition 47 crew members will depart June 18 returning to Earth after 186 days in space. Astronauts Tim Kopra and Tim Peake will be at the controls of the Canadarm2 robotic arm when it releases Cygnus at 9:30 a.m. Tuesday. Cygnus will orbit Earth for eight more days of scientific tests exploring how materials burn in space and the orbital dynamics of a destructive re-entry into Earth’s atmosphere. Kopra and Peake will then join crewmate Yuri Malenchenko for a ride home inside the Soyuz TMA-19M spacecraft on June 18. The moment the trio undocks from the Rassvet module, Expedition 48 will officially begin with Williams as commander staying behind with Flight Engineers Oleg Skripochka and Alexey Ovchinin. As always, a wide variety science continues on the International Space Station to improve life on Earth and benefit crew members in space. Peake researched the cause of accelerated skin aging in space and studied plant hormones. Kopra drew a blood sample for stowage in a science freezer and later analysis. Skripochka researched the radiation the station and its crew are exposed to internally and externally. Ovchinin explored plasma physics while Malenchenko and Skripochka partnered up for cardiovascular health studies. 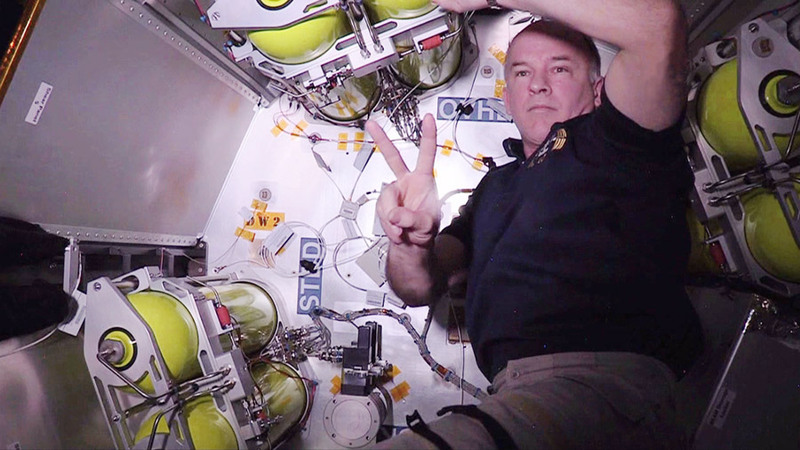 BEAM’s hatches have been closed completing crew operations for the month. Meanwhile, a pair of spaceships is also being packed for departure this month. After three days of operations inside BEAM, the Bigelow Expandable Activity Module has been outfitted with sensors and other hardware. The next crew entry into the Bigelow Expandable Activity Module is targeted for August for more checks. BEAM will be attached to the International Space Station for two years of performance and durability tests. 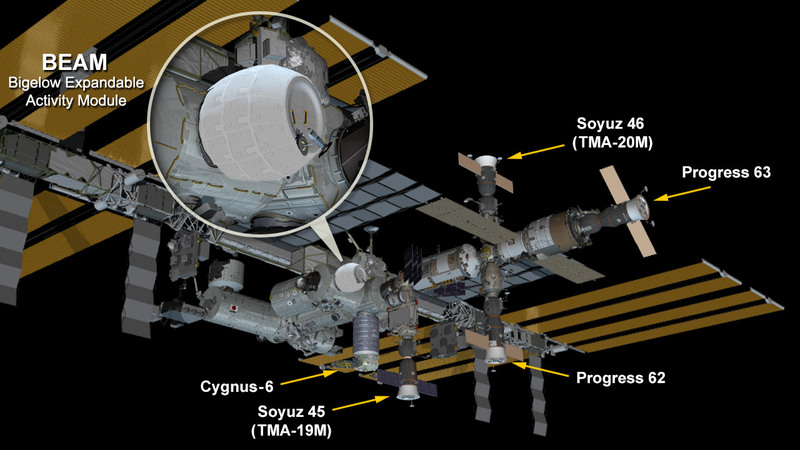 Orbital ATK’s Cygnus space freighter is due to be released from the Unity module June 14 having arrived March 26. The Canadarm2 will grapple and release Cygnus into space where it will remain in orbit for tests until June 22. Three Expedition 47 crew members are counting down to their departure June 18. They are packing the Soyuz TMA-19M spacecraft that will return them to Earth after 186 days in space. Today’s science activities included collecting air and breath samples for a bone marrow study. The crew also explored how astronauts adapt to detailed tasks requiring high concentration and also measured how lack of sleep in space affects cognitive performance. The hatch to BEAM was opened up again today for the second day of outfitting the expandable module to determine its habitability and durability. BEAM, or the Bigelow Expandable Activity Module, is set to demonstrate the overall performance and capability of expandable habitats for the next two years. The crew is predicted to enter BEAM between 12 and 14 times during its stay. Three Expedition 46-47 crew members are winding down a six-month mission at the International Space Station. Commander Tim Kopra, veteran cosmonaut Yuri Malenchenko and first-time British astronaut Tim Peake are packing their Soyuz TMA-19M spacecraft before they undock June 18 for the 3.5 hour ride back to Earth. The station will raise its orbit Wednesday morning to support the undocking as well as the arrival of the next crew on July 9. New Expedition 48-49 crew members Anatoly Ivanishin, Kate Rubins and Takuya Onishi will launch July 7 aboard a new Soyuz MS-01 spacecraft for a two-day trip to their new home in space. Inside the space station, the astronauts explored how future crews will communicate and perform as they travel farther out in space. Saliva samples were collected and stowed so scientists can analyze them to understand how microgravity affects a crew member’s immune system. The crew also photographed Earth’s landmarks and studied the vibrations the station experiences during vehicle dockings, spacewalks and crew exercise. The Bigelow Expandable Activity Module’s (BEAM) hatch was opened up for the first time today. Astronaut Jeff Williams entered BEAM and checked sensors, installed air ducts and reported back to Earth that it was in pristine condition. After Williams completed the BEAM checks he exited and closed the hatch for the day. The crew will enter BEAM a couple of more times through Wednesday to check sensors and gear. BEAM will stay attached to the International Space Station for two years of tests of its durability. The rest of the Expedition 47 crew moved right along with human research studies benefiting astronauts in space and people on Earth. 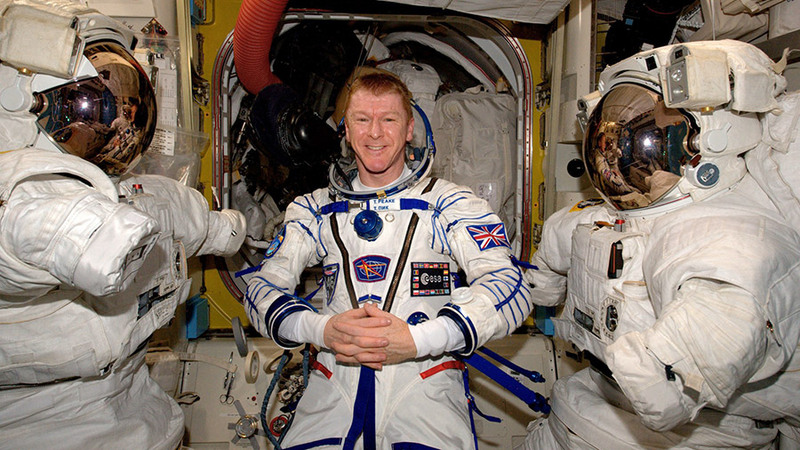 British astronaut Tim Peake explored how astronauts adapt to tasks requiring high concentration and detailed procedures. Williams later collected biological samples for stowage and analysis for the Multi-Omics experiment that is studying the immune system. Commander Tim Peake and Flight Engineer Yuri Malenchenko are packing their Soyuz TMA-19M spacecraft and getting ready for a June 18 departure. Peake will join the duo for the ride home after living in space for six months. The week’s final set of CubeSats were deployed Wednesday night as the new BEAM goes through a series of leak checks before next week’s entry. Back inside the orbital lab, the six-member Expedition 47 crew conducted advanced space research sponsored by private and public institutions. A final pair of CubeSats was deployed outside the Kibo lab module Wednesday wrapping up the week’s deployment activities. Since Monday, a total of 16 Dove satellites were released into orbit from a small satellite deployer attached to Kibo. 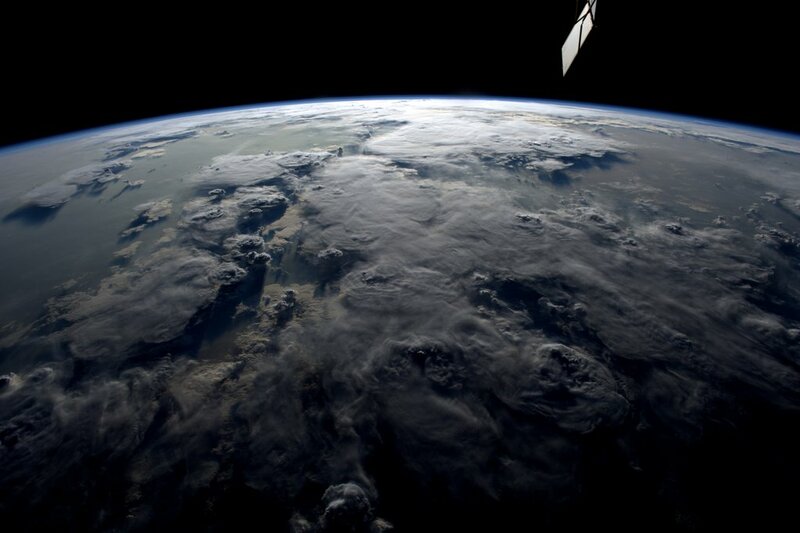 The CubeSats will observe the Earth’s environment helping disaster relief efforts and improving agricultural yields. The Bigelow Expandable Activity Module (BEAM) environment continues to be equalized with that of the rest of the International Space Station. 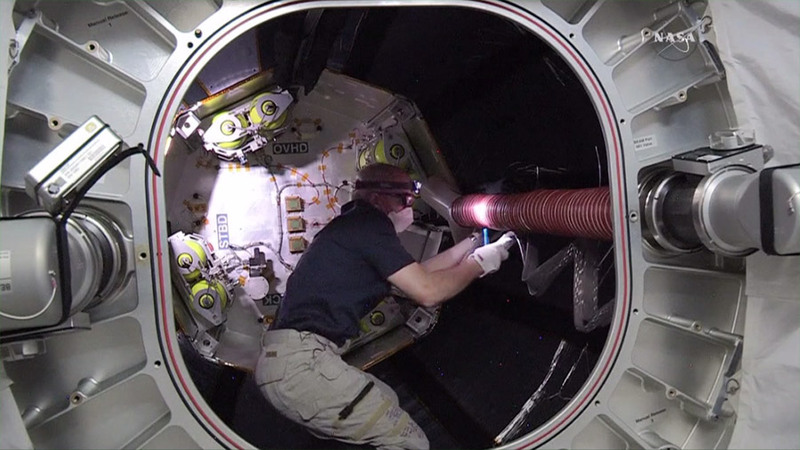 Astronaut Jeff Williams is continuing to install components on the BEAM bulkhead and vestibule area before entering the new expandable module early next week. The rest of the crew explored human research to improve astronaut health on long space journeys possibly benefitting humans on Earth too. Back on Earth, three new Expedition 48-49 crew members, Soyuz Commander Anatoly Ivanishin and Flight Engineers Kate Rubins and Takuya Onishi, are in Russia counting down to a June 24 launch to the space station. 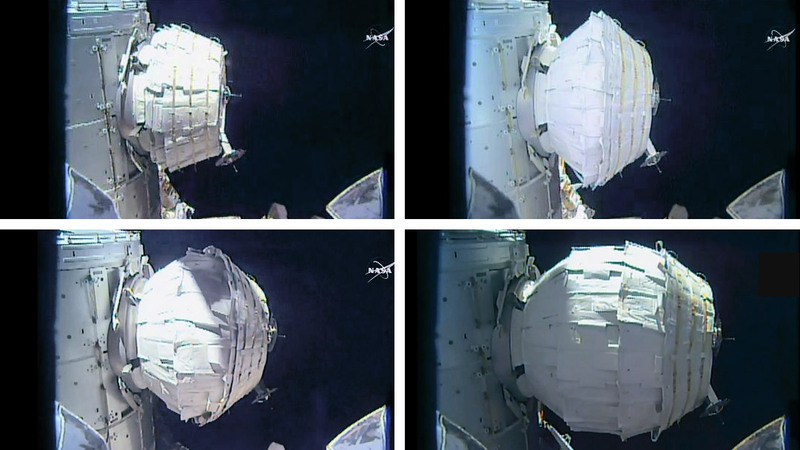 BEAM, the Bigelow Expandable Activity Module, was successfully expanded Saturday beginning two years of tests to demonstrate the new expandable technology. BEAM was pressurized and expanded to its full volume, width and length this weekend after 25 pulses of air were introduced into the new module. BEAM leak checks are underway and will continue before astronaut Jeff Williams gets the go to enter the module on June 6. Williams will install sensors inside BEAM to measure its environment. Japan’s Kibo lab module is sending more CubeSats into orbit this week from a small satellite deployer. 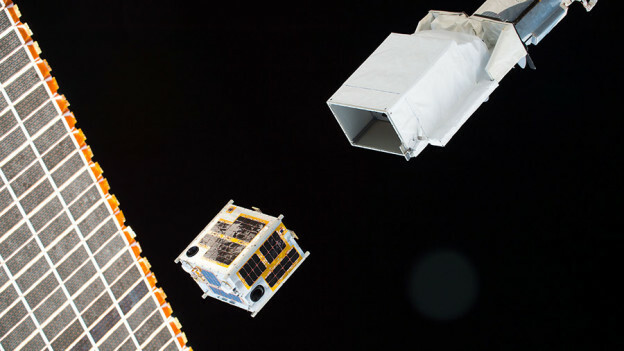 The CubeSats are supporting research such as communications and Earth observations sponsored by government, education and private organizations. Back inside the International Space Station, the six-person Expedition 47 crew was exploring human research and advanced physics in microgravity. The crew was also setting up science gear and maintenance hardware and continued packing the Orbital ATK Cygnus cargo craft before its June 14 departure.